The whanau Shows first broadcast was on the 6th June 1995 at the studios of Te Upoko te ika in Lambton Quay in Wellington. My entire music collection was 6 CD's and after one month playing the same music over and over again I don't think I had any listeners at all. But I was happy to be on radio especially on Maori Radio and I must admit my Reo at that particular time was very Minimal. As time went on I grew in confidence, in music and in Listeners and went to various Reo classes. 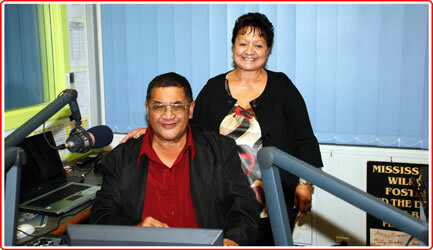 My first outside broadcast was in late 1997 at the studios of Turanga FM in Gisborne. I am now based at our Iwi Station here in Gisborne, Turanga FM and over the years I have broadcast from nine Iwi stations. 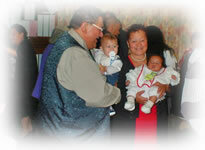 The Whanau Show is about you, the people irrespective of race, creed or colour.